If your child is interested in an instrument not listed here, we will do our best to match them with a teacher. We recently had teachers for oboe and bass guitar, when requested. These are private lessons, therefore you will need to source your child’s own instrument and, apart from piano and drums, they will need to bring it in for their lesson. Devon County Council Music Services run an instrument hire scheme. Ask in the office for details or look on the Babcock LDP website. 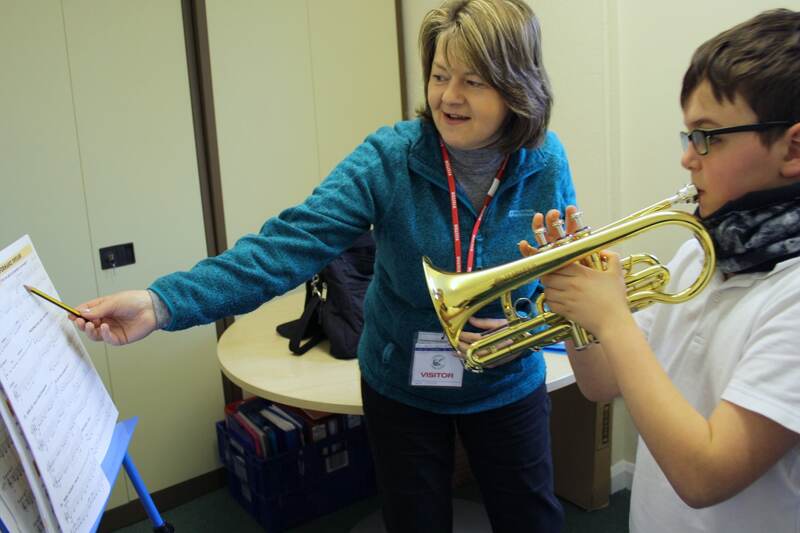 If your child is interested in learning an instrument, please call in tot he school office and speak to Mrs Chesterman, who will give you a request form to complete. When we receive your form, we will be in touch to let you know when lessons will begin. Invoices for lessons are sent out at the beginning of each term, and payment is requested before lessons begin. We have many children learning instruments now, and opportunity is given through the year for them to perform in assembly, our Festival of Music etc. Where appropriate, they will also be invited to join the school orchestra, which is a great opportunity for them.